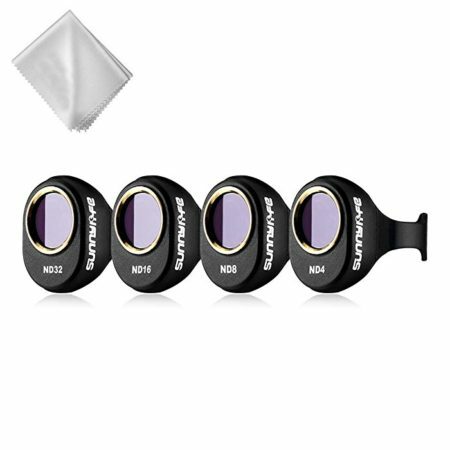 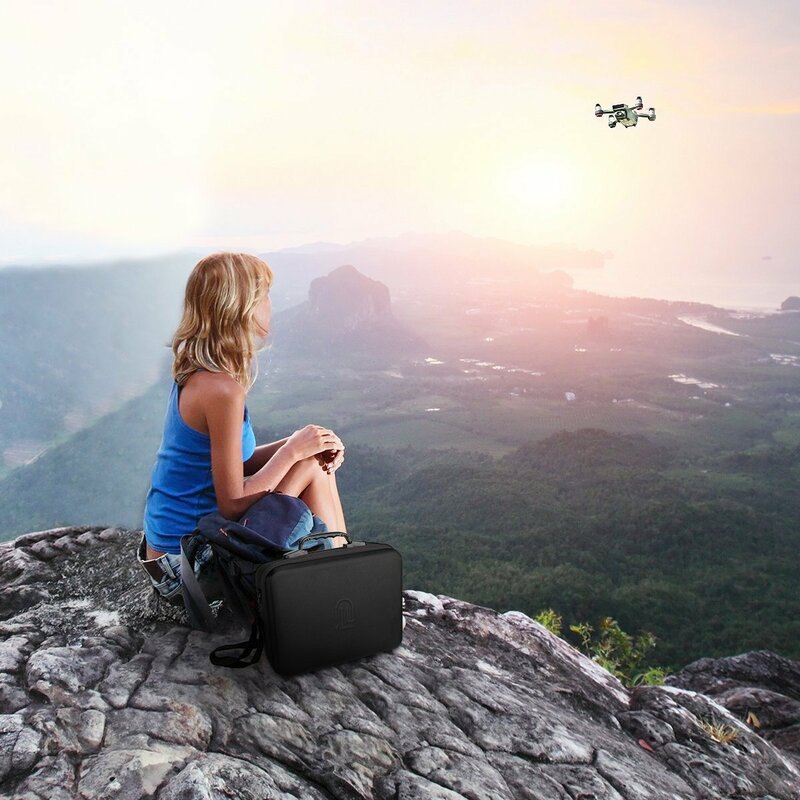 This professional carrying bag for DJI Mavic Air and accessories can store 1 DJI Mavic Air drone, 4 intelligent flight batteries, 1 remote controller, 1 battery charger, 1 battery adapter, 1 Type-C to Micro USB adapter, 1 propeller and more other quadcopter drone accessories. 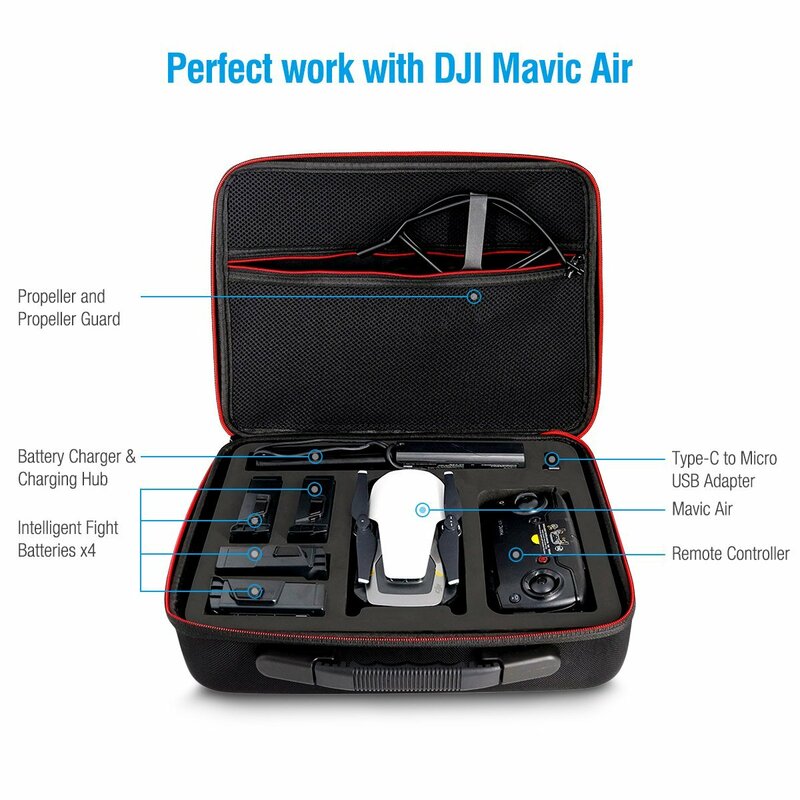 Thanks to the well organized DJI Mavic Air bag, it has a compact size 34 * 27 * 11.5 cm, space-saving layout inside, providing enough room for the drone and all accessories. 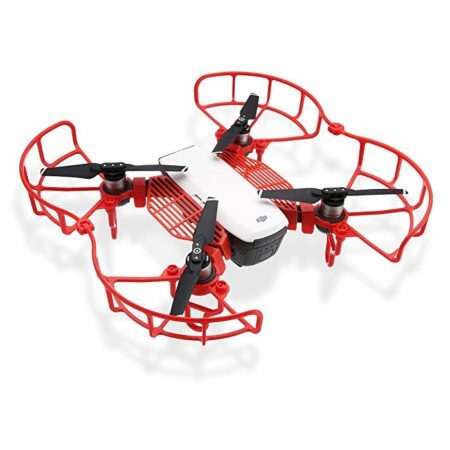 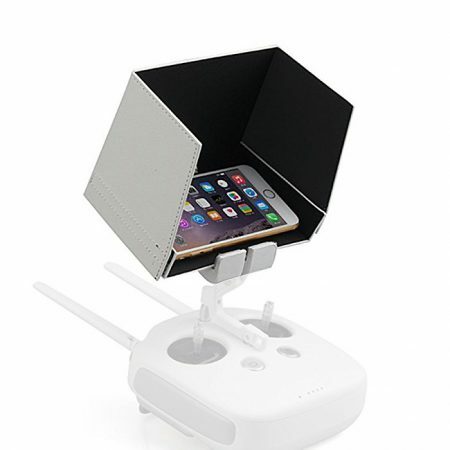 This drone case is made of highly durable materials. 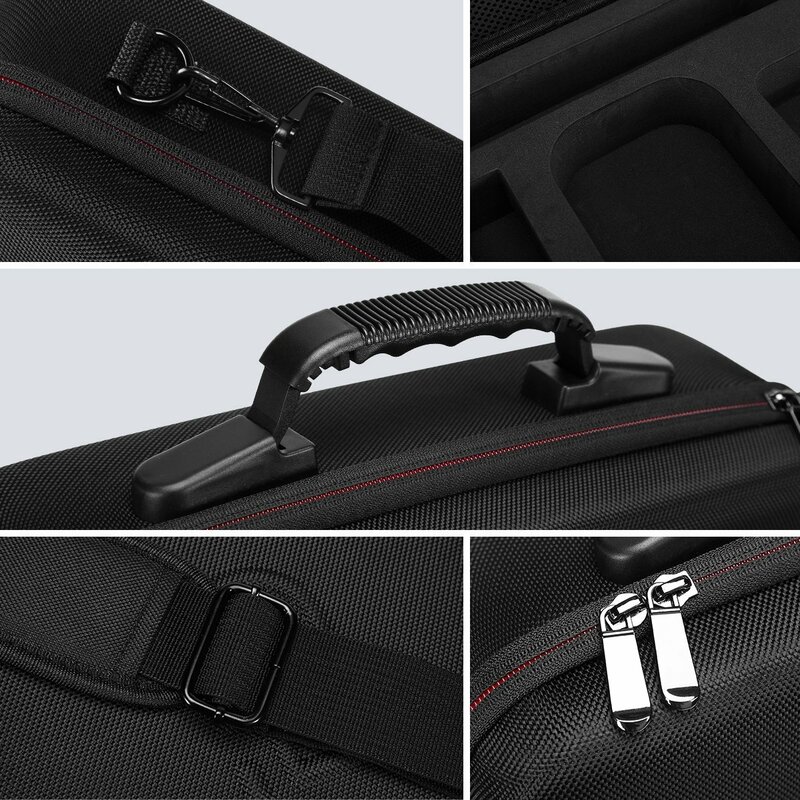 The drone case has well stitched and sewn heavy-duty zippers for great durability. 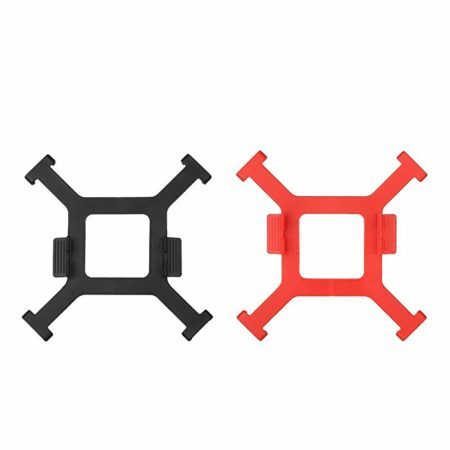 The high-density EVA material is able to keep your DJI Mavic Air and other drone accessories safe and sound when you carry them for flying or just store them at home. The case has adjustable shoulder strap and side handle for convenient carrying when you go out to play your drone. 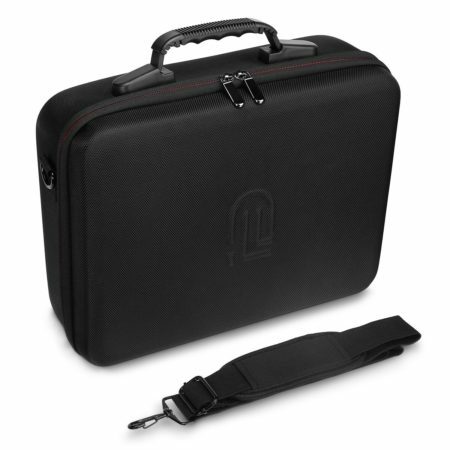 This storage carrying case for DJI Mavic Air Drone can also store more DJI drone accessories, or you can use it as a small luggage case. 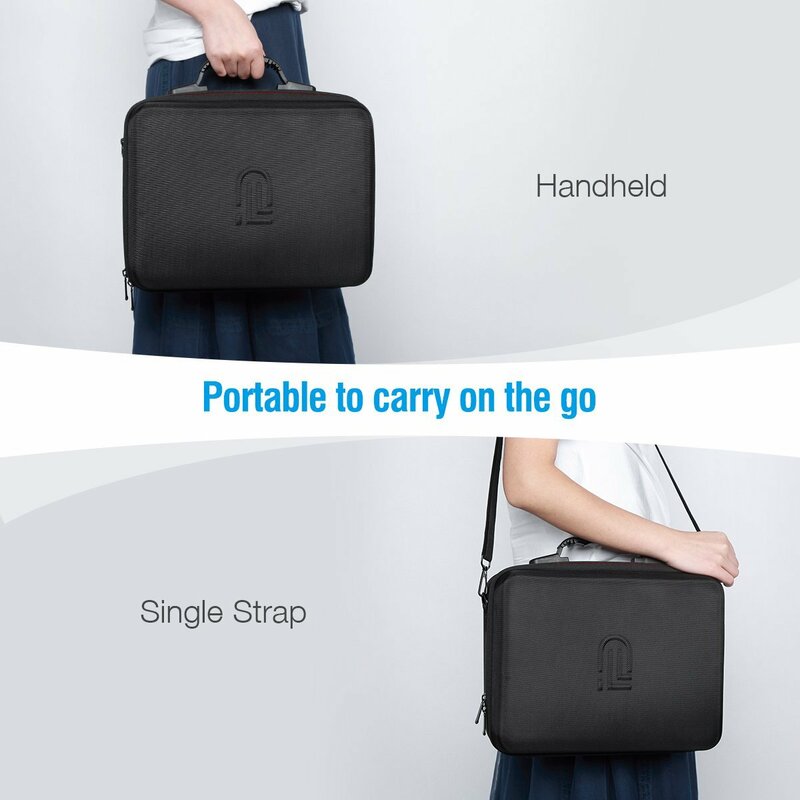 It’s designed to be compact, small in size and light in weight. 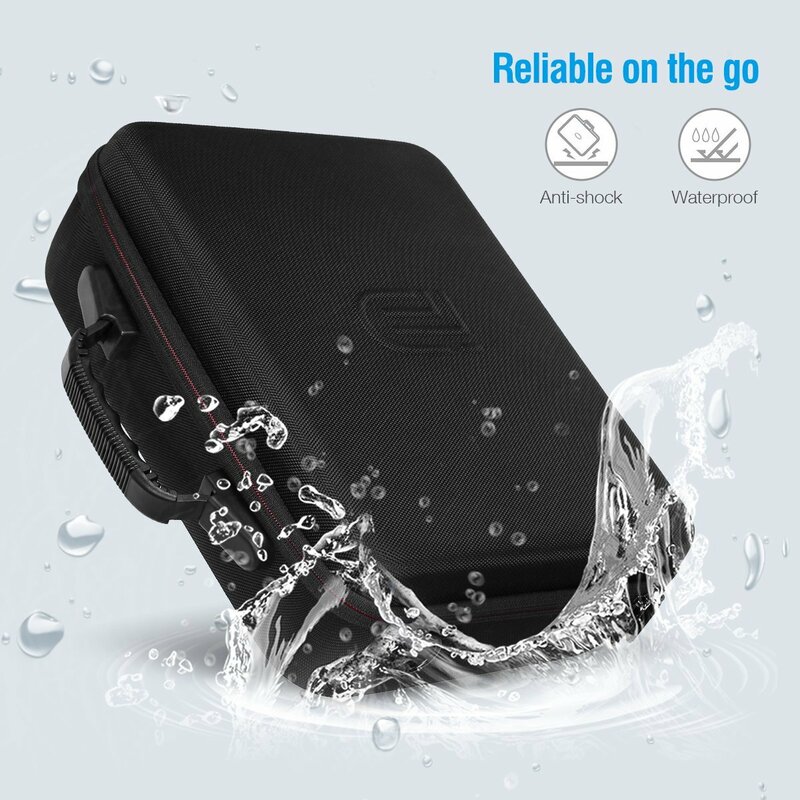 It’s a portable carrying case for backpacking and traveling.